Normally in the summer I'd plump for bright nails. However, with the weather being so far from sunny and with a wedding and a funeral coming up in the next couple of weeks, I need to look fairly restrained. Instead, I decided to try a light pink that I've had my eye on for a while- Essie's Spaghetti Strap. I looked up swatches beforehand and it looked like a very sheer, subtle shade. On application, however, it was more opaque than I expected. This was a bonus for me as I'm not a huge fan of the more translucent finishes. It also has a glossy finish which looks super shiny once top coat is applied. Spaghetti Strap is the prettiest, most delicate pink. 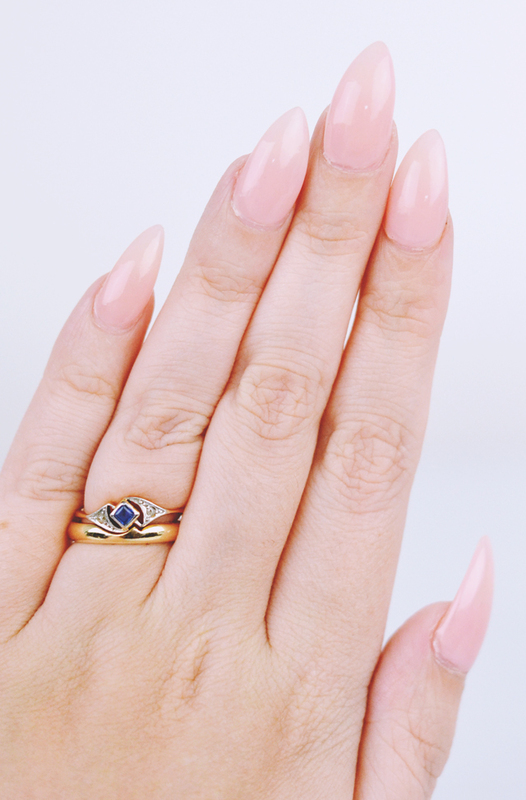 It's the perfect shade for a French manicure due to it's classic chic quality. I'm very happy with them and will definitely reach for this choice again!